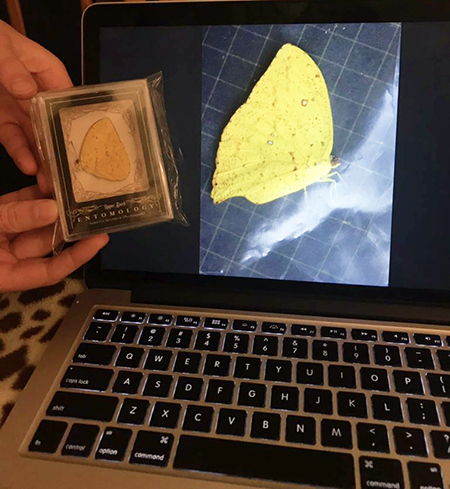 Ryan C. is a collector who had his girlfriend visit Costa Rica this summer to study butterflies. 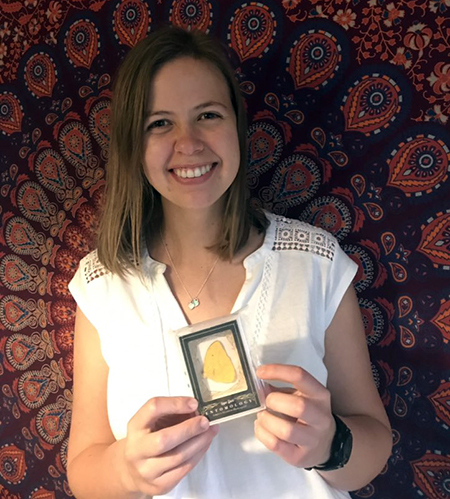 Being a supportive and observant boyfriend, Ryan found out the exact butterfly she wrote her report on that summer and decided to see if there were any cool gifts he could get her of the Apricot Sulphur. 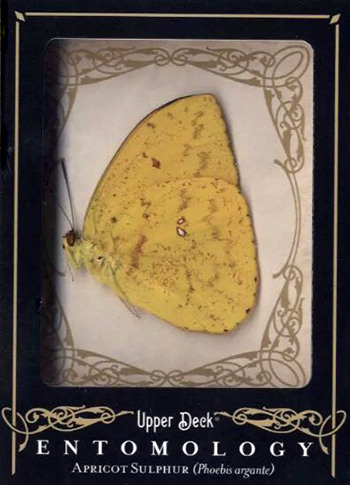 Then he found that Upper Deck actually made a card of the Apricot Sulphur with the actual butterfly encased inside as part of our Entomology collection from the Goodwin Champions brand. He recently presented it to her for Christmas and she loved it. She even had a picture on her computer of one she caught and studied.